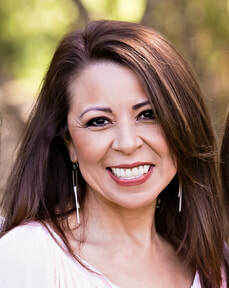 Author, speaker and Board Certified Biblical Counselor Cecilia Trent is founder and director of The Balm of Gilead Ministries-a nonprofit, donation-based counseling and resource center offering hope and healing to God’s hurting children. Her own brokenness and struggle led her to a life changing heart encounter with her Jesus, and the realization of God’s radical love for her and the amazing truth of her true identity as a precious child of the Living God. Cecilia’s empathy and love towards those who have been hurt and broken, fueled her passion to lead workshops, teach, counsel and write, Hurting Hearts Restored, and to exhort women in the reliability of Scripture to heal, transform and restore them from the inside out, enabling them to live the abundant Christian life, despite life’s challenging and often overwhelming circumstances. Cecilia is blessed to be married to her best friend, soulmate and fellow laborer in ministry, James Trent, for over twenty years and enjoys family life with her four wonderful children, seven beautiful grandchildren, two entitled cats and her 105 pound mischievously rambunctious, but lovable dog, Taz.